With new and improved styling, the Type H-RFL BOV remains true to it’s roots – it’s still really f’n loud! Like all Turbo XS valves, the RFL relieves compressor pressure surge caused by changing gears or backing off the throttle and has been used on turbo charged engines running upto 35 psi boost. If you need to ask how loud it is, this valve is too loud for you! 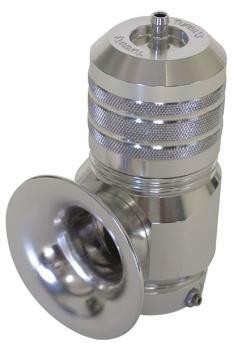 Type H-RFL Blow Off Valve comes standard with both a mild steel and aluminum weld-on adapters.